← Can you Last 10 Minutes? The Walking Dead’s Almost Here! 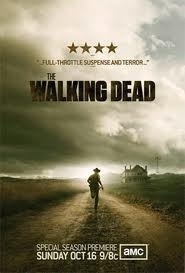 Coming up at 9:00 pm Est the season 3 premiere of AMC’s hit show the Walking Dead returns. I have spent the whole weekend watching the marathon to prepare for this. Hope everyone is as excited as I am. Enjoy and let me know what you think of the premiere. This entry was posted in Uncategorized and tagged amc, walker, Walking dead, zombies. Bookmark the permalink.